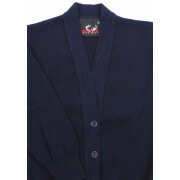 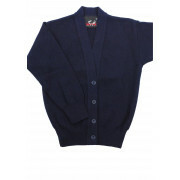 Navy school cardigan by Deer Park with a four button placket and V-shaped neckline. 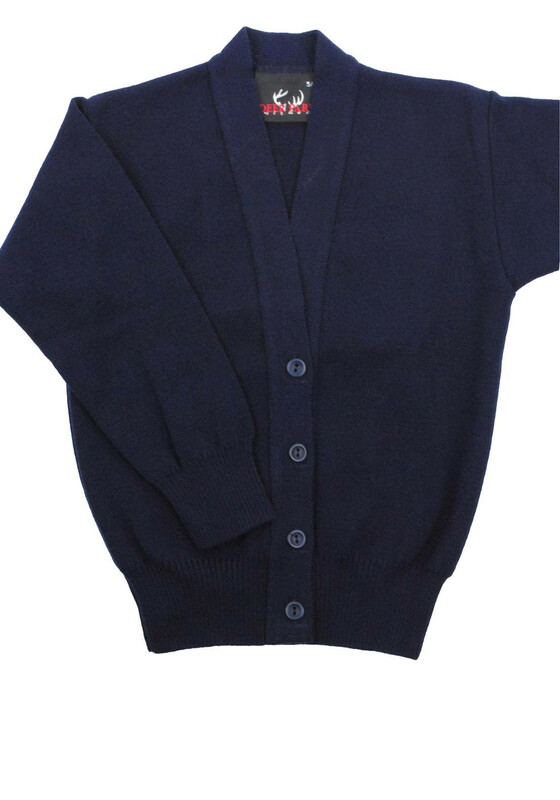 It features a ribbed hem and cuffs. 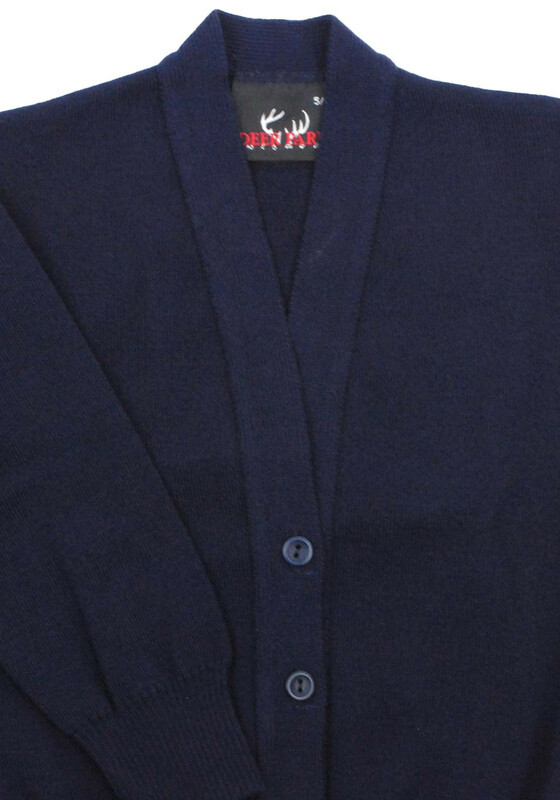 Beneath the wash care label is a name tag.